Now get the brilliant Exchange to PST Converter Software that easily recover data from exchange file and safely convert exchange EDB file to PST Outlook file without creating any problem. Through Exchange EDB Converter Software you can make selection of emails using messages filtering option where you have to define the two dates to recover emails. Software facilities to export only attachments from corrupted EDB file and you can get the preview of EDB Emails conversion process into Outlook file by which you will make sure about the best conversion process. EDB Convert to PST Software helps to recover EDB File and Convert Exchange to PST File with preserve internal data of email Meta data. * Recover emails by messages filtering “From date” to “To date”. 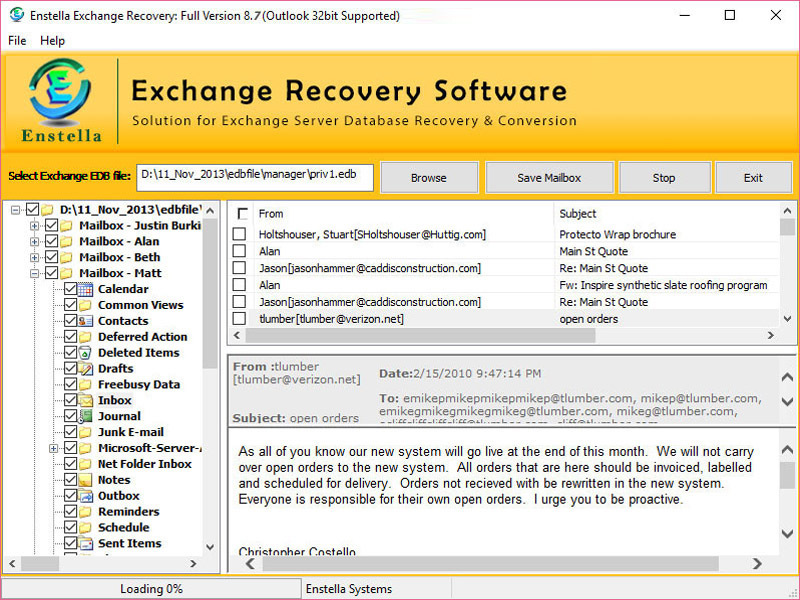 * With demo you can restore 25 EDB Emails into EML, MSG, HTML, PST at free of cost but if you think to restore complete data then you can download full version of Exchange to PST Converter Software.